The gorgeous dip-dyed tote bag I ordered from Field Guided (shop) arrived this week and I am so happy with it. I love the soft pink fading to normal, untouched canvas and fell head over heels for this bag due to the inclusion of a line from one of my favourite songs (Running Up That Hill) by one of my all-time favourite artists - Kate Bush. 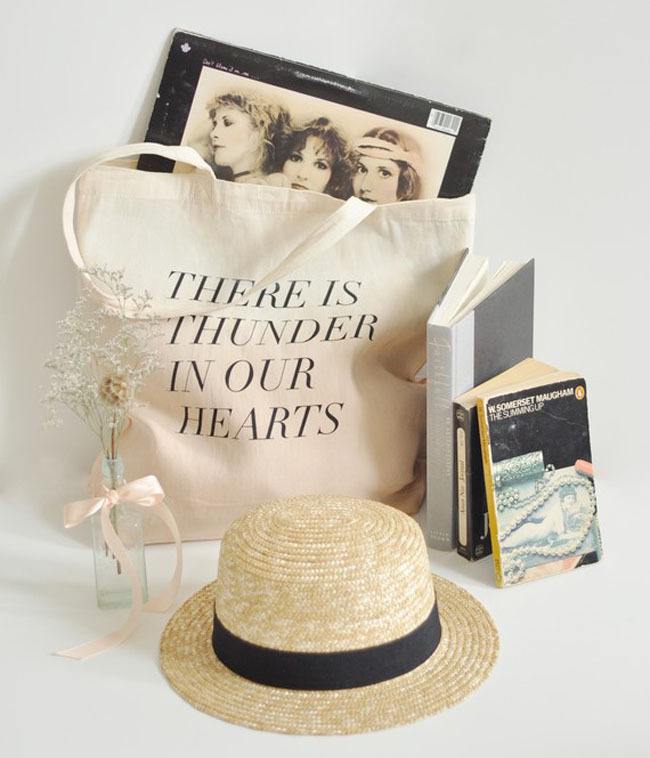 I look forward to taking this tote with me to festivals, days in the park or just shopping trips in the city this summer, wondering if any fellow music lovers spot the reference and smile to themselves. I know I would if I saw someone with one!